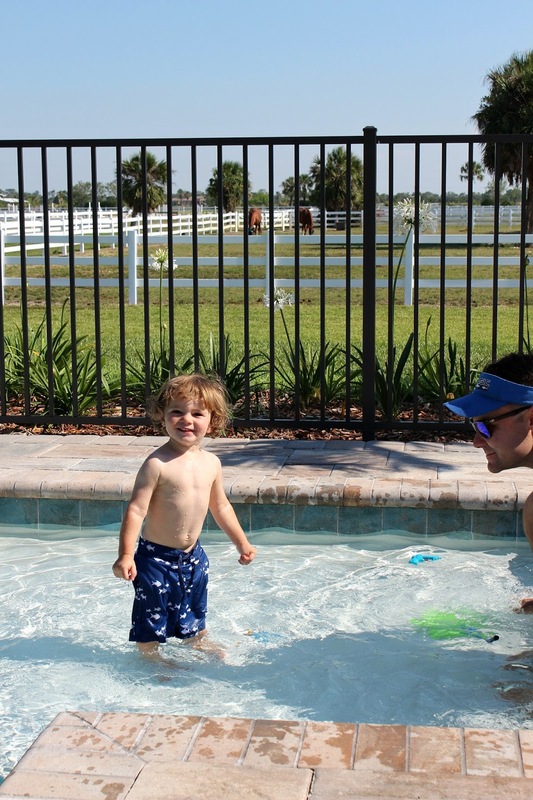 Being a Florida baby, Easton has been going to the beach and pool since he was about six months old. For years Justin and I got used to being able to throw a few towels and chairs in the car and head down to the beach for a full day of relaxing. Now that we are parents our beach prep has changed quite a bit. To say we need more than a few towels and a cooler would be an understatement. The first few times we brought Easton to the beach we brought WAY too much stuff- 3 outfits, 5 diapers, multiple bottles and snacks. Then we went through a phase where we brought not enough with us and would end up having to leave way earlier than planned due to a hungry baby or a lack of extra diapers. I would like to think that over the last year we've gotten pretty good a packing a baby/toddler for the beach or pool and we have a pretty good checklist of our must haves to make getting ready for a day of fun in the sun easier for everyone. 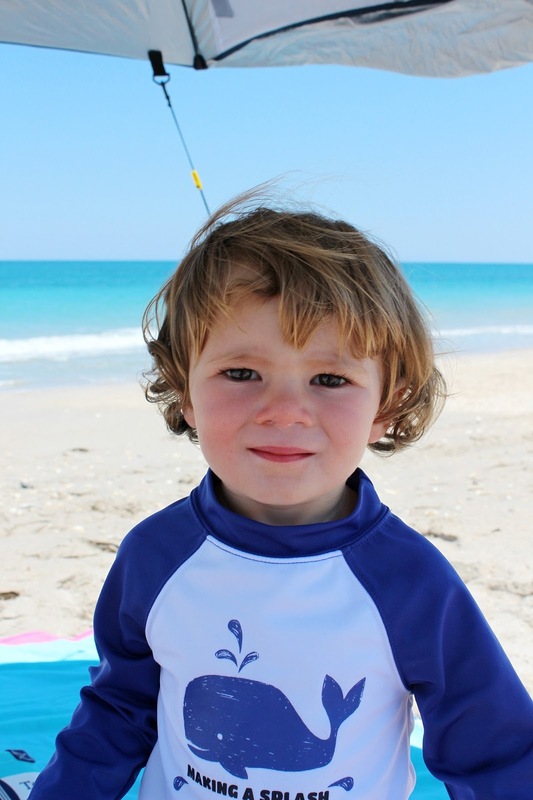 Long sleeved rash guard top: Even though we always apply sunscreen the long sleeves are great for longer days in the sun. Sippy cup with water: We learned the hard way that trying to keep your toddler hydrated with only bottles of water ends up with a lot more water spilled than consumed. Bringing his own zippy cup means he stays hydrated a lot easier. 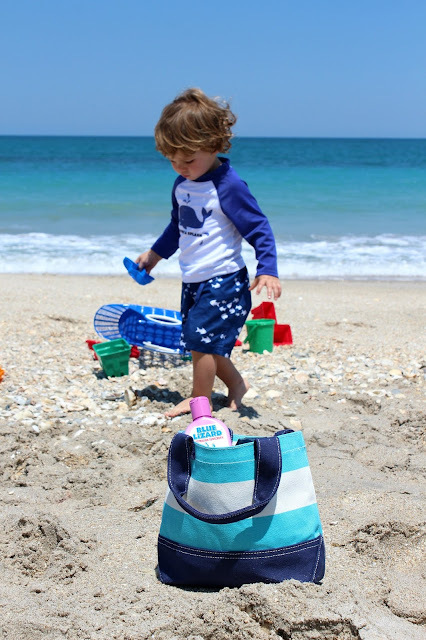 Beach & pool toys: We have set of beach/sand toys that always stay together for beach trips and a few smaller toys that we bring with us for the pool. This way he is entertained no matter where we are. Snacks: Even though Justin and I bring our own snacks, I always pack Easton's in his own separate snack cup. This way his sandy hands stay out of my pretzel bag. Pre-cut fruit: I love packing a little container of pre-cut fruit. I always make sure to prep it before hand so it is as easy as possible for Easton to snack on without bringing along utensils. Extra swim diaper: We learned the hard way that one swim diaper isn't always enough for a trip to beach or pool (believe me you don't want the details). Having an extra with us means our time in the water doesn't have to be cut short when unexpected accidents happen. Hooded towel- I always bring Easton his own sized, hooded towel. It cuts down on the bulk of bringing an extra regular sized towel and the hooded one stays on him better when we are drying off and getting ready to pack up. 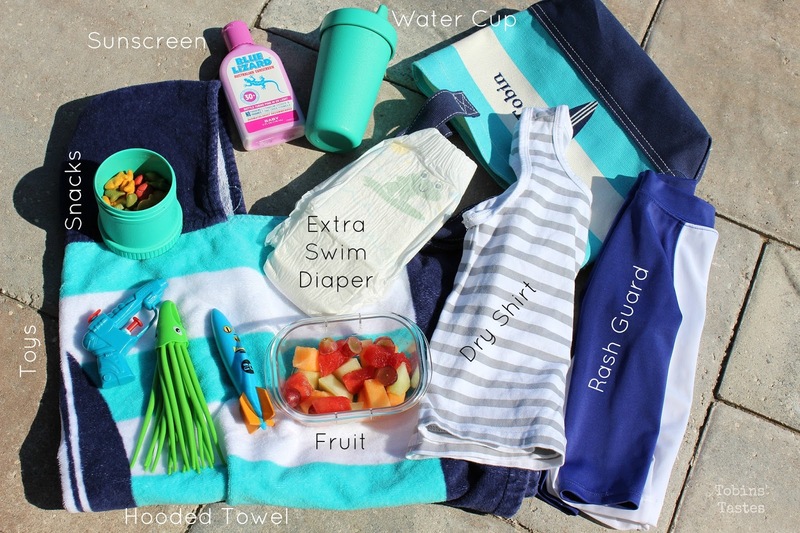 Getting ready for summer with your toddlers? Be sure to stop by your local Walmart and stock up on Blue Lizard®. 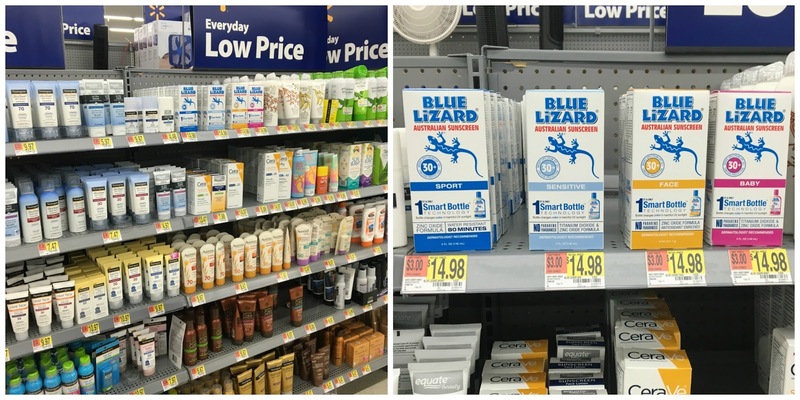 I purchased mine at Walmart and was able to find it in the dedicated sunscreen display. 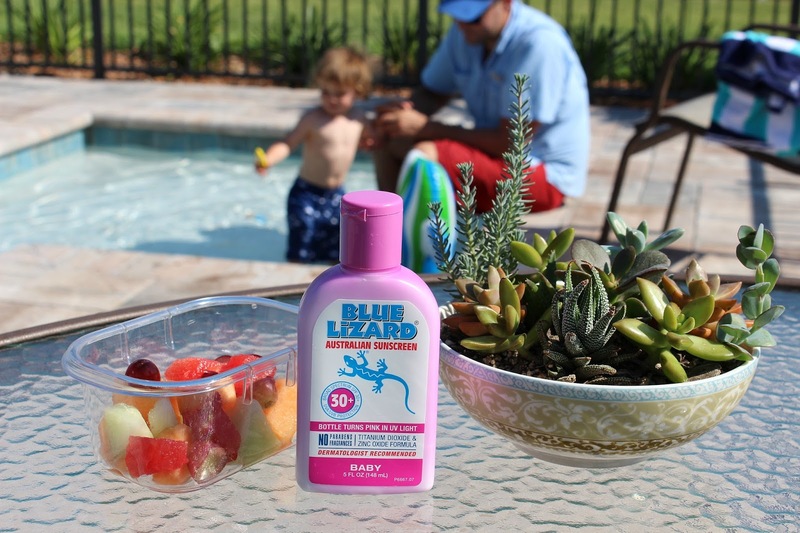 Also be sure to check out Blue Lizard® Sunscreen's Patented Smart Bottle™ technology. The bottle changes color when exposed to l UV sunlight and can be used as a great teaching tool for kids on when to re-apply sunscreen. As will all things be sure to consult with your pediatrician before using sunscreen on a child younger than 6 months old. Even better? 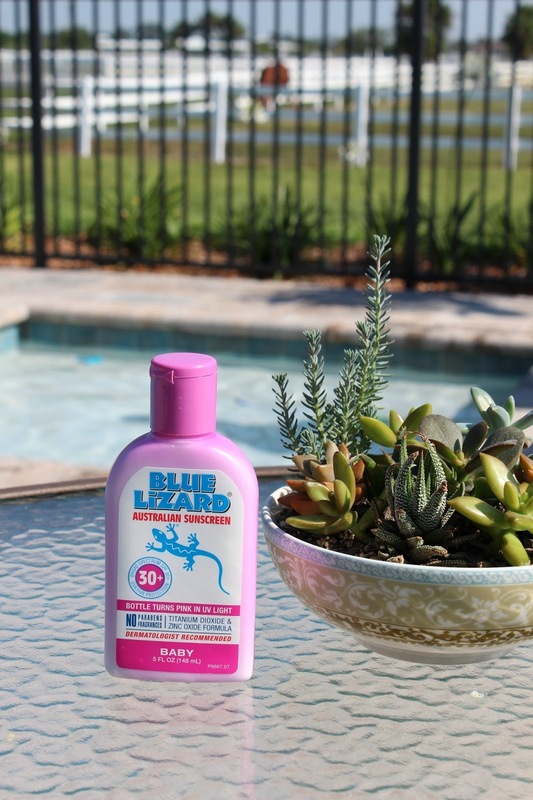 Right now you can earn $4 cash back when you join iBotta and purchase Blue Lizard® Australian Sunscreen - Baby, 5 oz. bottle only. iBotta is one of my favorite cash back apps so I was thrilled to see Blue Lizard® products included in their most recent cash back offers. 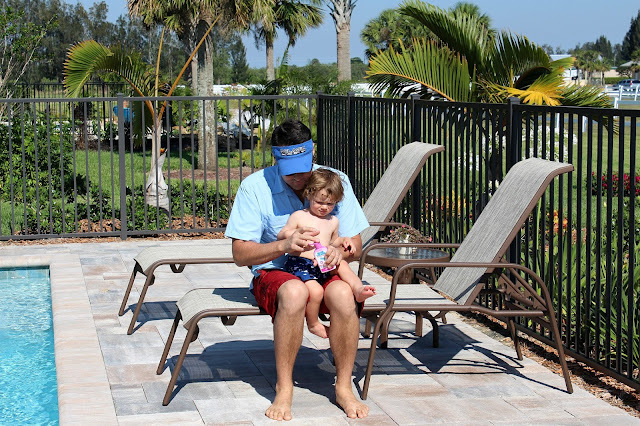 Do you frequent the beach and pool with your babies and/or toddlers? 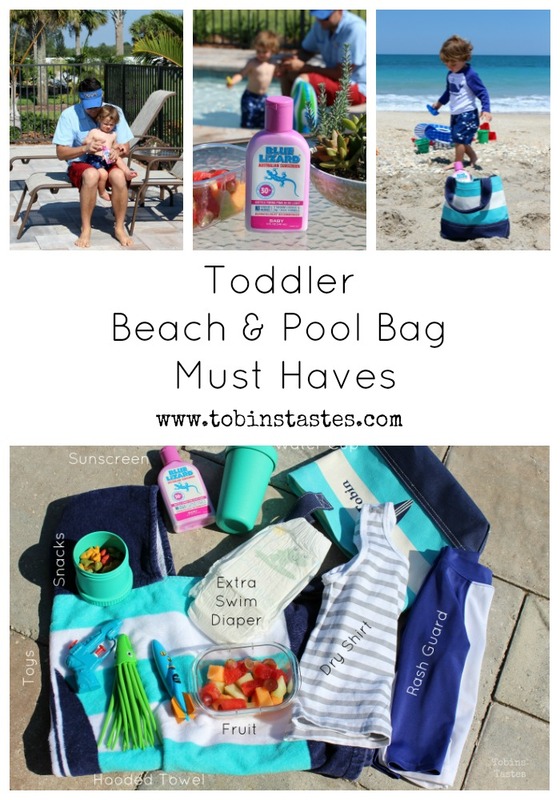 What are you beach/pool bag must haves for summer? I would love to get some new ideas from your suggestions! Thats a really helpful list. Not only babies, but everyone should have a list like that to carry only the important stuff. You're going for enjoyment, no need to take a mini house with you. Your work article, blogs I mean over all contents is must read material best infant toddler swing.